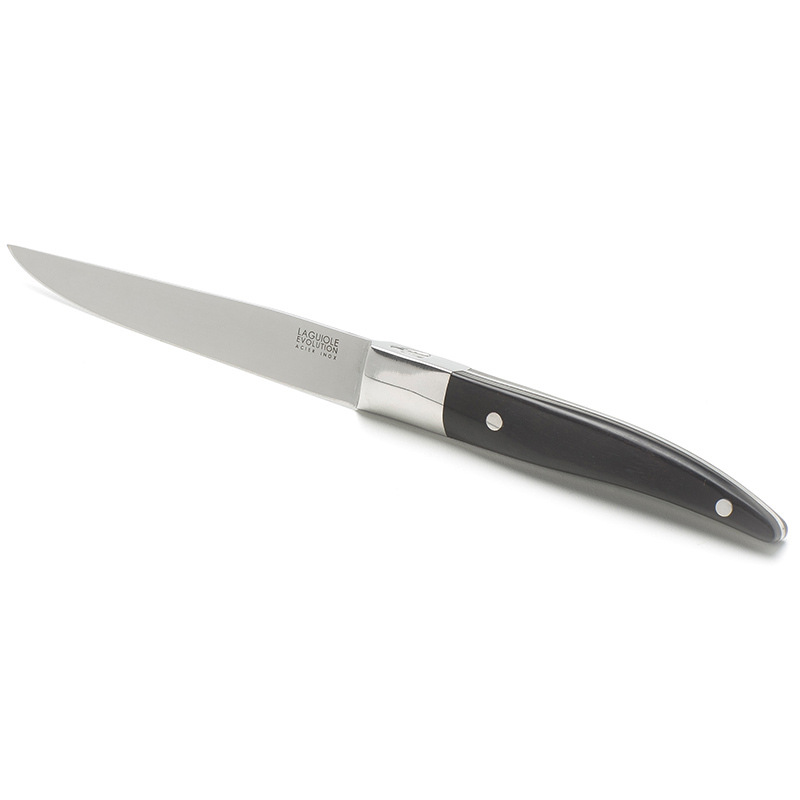 Made of forged stainless steel, the full tang blade enables this steak knife to cut and mince with great precision. Both powerful and delicate, it respects the flesh whether raw or cooked. 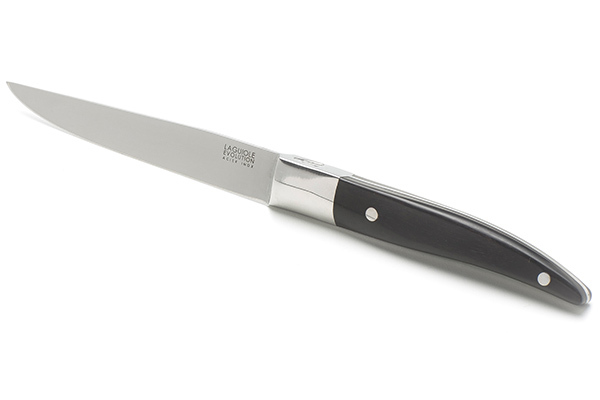 Inspired by authentic graphic lines of the famous Laguiole knife, this slender steak knife revisits the famous look with an uncluttered design. The bolster and solid rivets benefit from an ultra contemporary mirror polish. 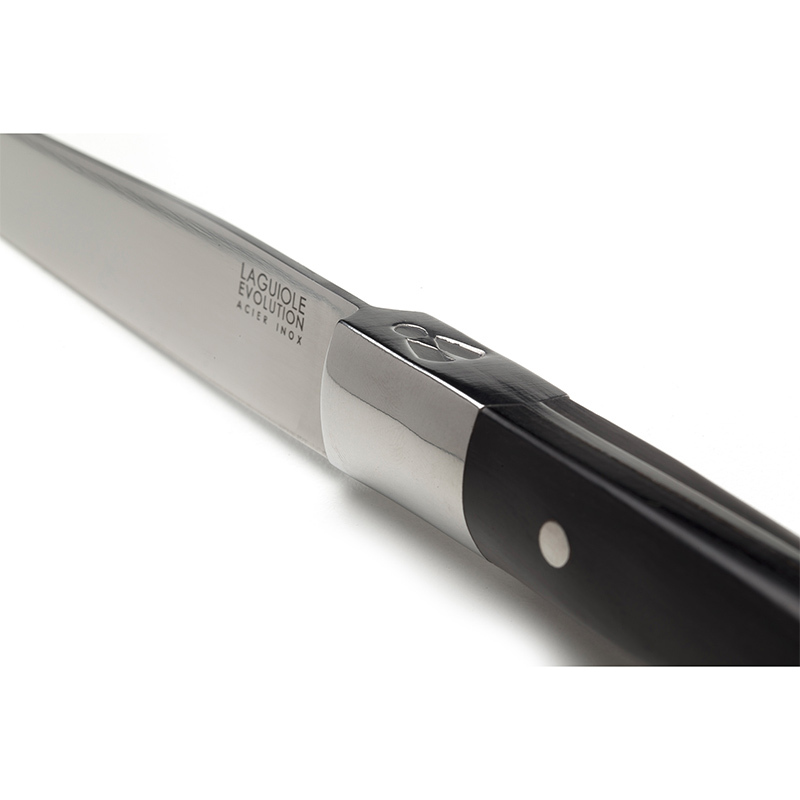 The blade of this knife can be personalised with a message up to 30 characters.